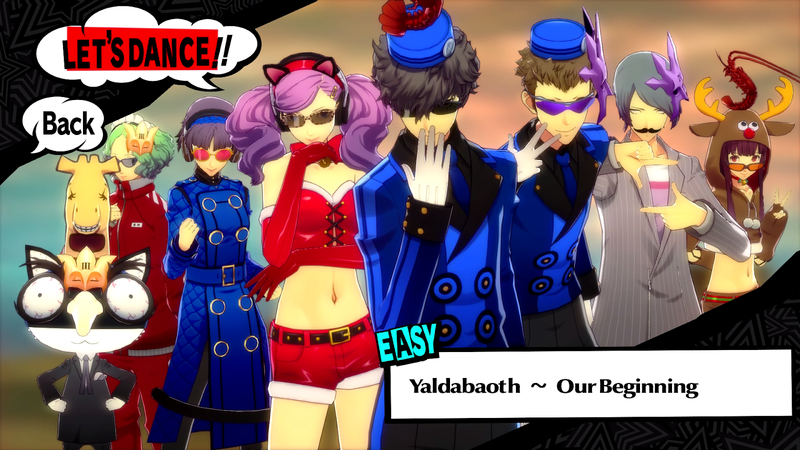 As much as I love the Persona Dance games, I understand when people find it an odd crossover since Persona is a JRPG series. It seems these dance games sometimes present a new challenge to JRPG fans since the gameplay is not what they’re used to, which is fair enough when you consider how different this rhythm game is to the turn-based JRPG combat the Persona series usually features. 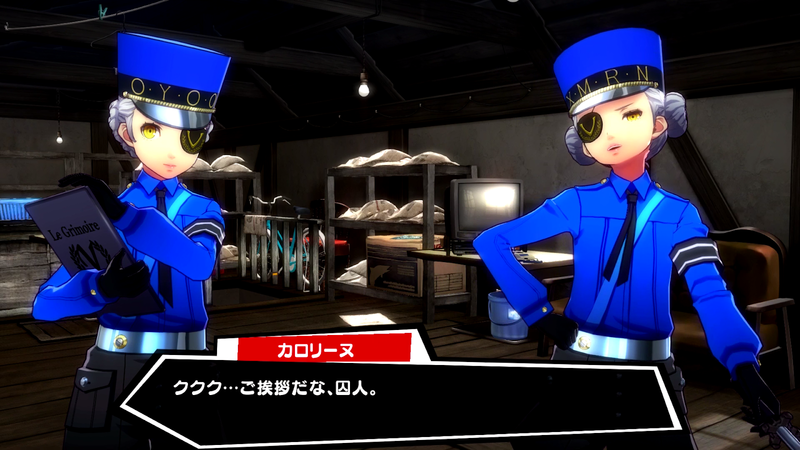 When I reviewed the Japanese versions of the Dance games months ago, there were a few comments expressing concern about completing everything and unlocking all of the story content for people that are more Persona fans than rhythm game fans but wanna get the most out of everything. 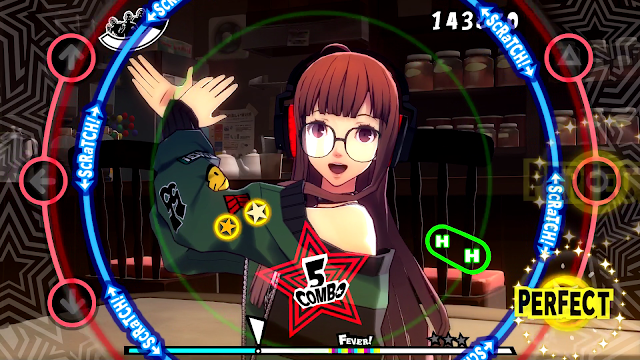 After playing these games a bunch over the last few months, I think the story moments and unlockables are achievable for players of all levels of rhythm game skill at a fairly quick pace as long as you play it smarter rather than harder, so here are some tips to help you experience the narrative of the Persona Dance games as efficiently as possible and unlock a fair few costumes and extras along the way. As a rhythm game with a story, there’s a little bit more to these Persona Dance games then just rhythm game at its core. The game can be divided into three parts: the rhythm game, social events and the room exploration unlocked after playing a bit. This video will also be divided like that, with those and more specific time codes in the description, so feel free to jump around depending what you’re working on in the game or watch everything all together to try get the big picture. If you happen to have tried more typical rhythm games like the Hatsune Miku games or DJ Max, you may be expecting a more traditional ranking system that gives you a percentage at the end that determines if you pass and how much you passed by. 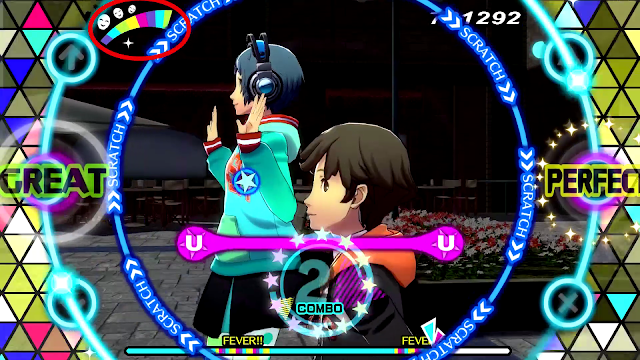 Persona Dance does show you your progress in the form of points and a graph showing your general performance, but there’s an important aspect that affects whether you pass songs that is a little different to other rhythm games and that’s the effect of its hype meter. During songs, the hype meter at the top of the screen essentially shows how well your chain is going and how much you’ve missed. If you miss it goes down, if you hit notes it goes up and if you get a chain of notes, it goes up more steadily. It also changes colour if you’re doing well and this important for a few reasons. Firstly it affects what kind of rating you get at the end of the song, ranging from “Not Cleared” to “King Crazy” and some of these come into unlocking some social events. Most importantly though is that if it’s not in the Green by the time the song finishes, you don’t pass, so even if you did the first half the song perfectly, if you mess up the second half and can’t build your hype bar back up in time, you still won’t clear it. It’s a pro and a con system-wise, but the good thing is if you mess up the first half of the song, you can still make up for it in the second half, so I recommend keeping an eye on both your hype meter and also the song duration on the bottom of the screen if you’re slipping to see if the song is salvageable and if there’s a fever you can take advantage of. During songs, aside from the note circles, there are also the blue “scratch” rings in between notes that add a little more challenge and variety to the songs. I like these scratches as I think they add more interest to the simpler modes, but in the harder difficulties it can get hard to hit them all in between the constant stream of notes and getting these scratches can come at the cost of hitting actual notes if you’re not careful. The good news is you don’t need to stress too much as missing these notes don’t count as misses, so if you ever feel overwhelmed you can just skip them, with the first time you skip all of them even unlocking a modifier you can put on that does them for you. 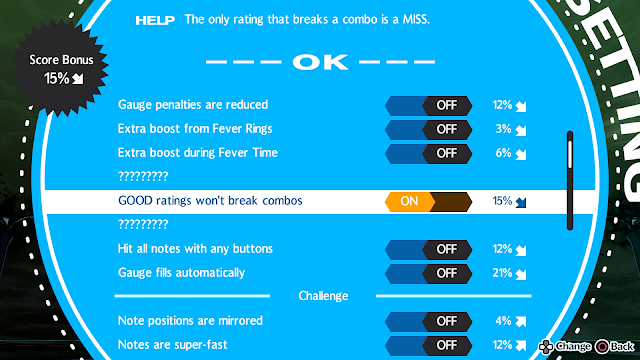 Despite their optional nature, I do recommend doing them whenever possible since they add to your combo and if you see the hype meter dropping close to the end of the song, it’s definitely worth trying to keep up with them as you can use the extra combo hits to save yourself from a “Not Clear”. They definitely have their place in Persona Dance if you use them right, so with the right balance of main notes and doing as many scratches as possible, your combos and clear rate should be at their best. It might go without saying for some, but if you want to unlock story events as quickly as possible, there is no penalty for doing everything on easy and likewise no bonus for doing everything on the highest difficulty, unless you care about high scores, but those scores don’t have a bearing on unlocking things in the end. What does unlocking affect certain characters social events at a good pace is the amount of Brilliants you’ve achieved from songs, so if you’re focused on getting story events quickly, it’s probably better to unlock everything on the easier difficulty first and save challenges for later. On top of this, there are many supportive game modes that you can have on simultaneously that can do everything from doing scratches for you to allowing you to only press one button for all notes that can make playing the rhythm game an absolute breeze and whether you use or don’t use these, there’s no negative consequence to unlocking things this way and using them will even contribute to unlocking a couple of story events that require you use them, so it’s good to know your options (Just keep in mind you have to do a quick task to unlock them first!). Regardless of how you wanna play, whether you want to play efficiently or not, just play in whatever way makes the rhythm game most enjoyable and pick the mode that is right for you because the more you play, the faster you unlock things so you might as well enjoy it while you do it. With different types of unlockables spanning from achieving certain clear ranks, changing costumes and using challenge modes, if you want to unlock everything quickly many of these requirements are possible to combine to get events done at a fairly quick pace, especially if you don’t mind doing the same song a few times. 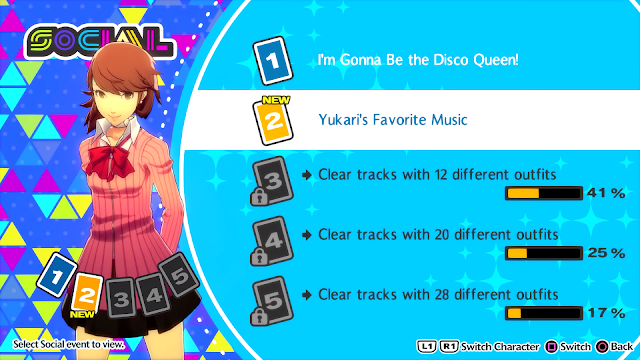 The strategy I used when I was going for the platinum trophy was using one of the last songs unlocked in the rhythm game that features all of the main cast, changing all of their costumes and accessories to whatever still had ‘new’ next to it, putting on whatever challenges or supports I needed to use, and then doing the song, often in easy or at least a consistent difficulty each time because I wanted to have a predictable rhythm pattern to make challenges as easy as possible. You can combine as few or as many as you feel comfortable with, but the main point is combining at least a couple things in songs with many dancers will make things much faster than if you did them one by one with only a two of dancers to change the costumes of. If you want to feel a sense of completion from the Persona Dance games, the Velvet Room assistants’ events are the ones that will give you that. 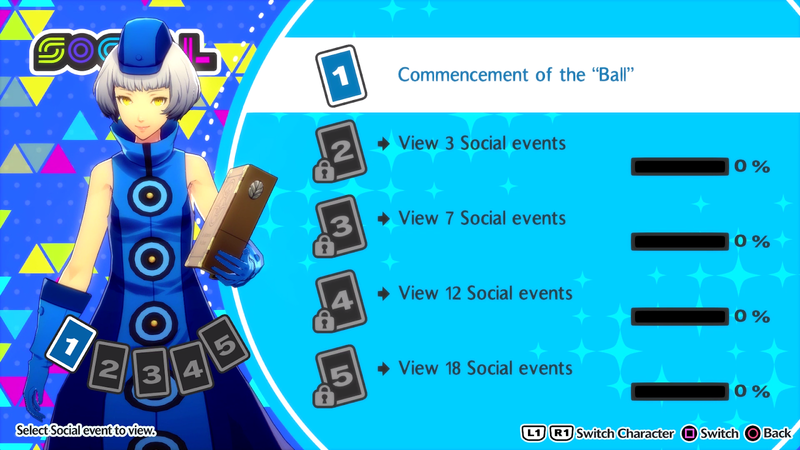 I won’t go into why too much to avoid spoilers, but just know they’re well worth doing if you’re a fan of either Persona 3 and Persona 5 and want to get the most out of your game in terms of both story and content available in these Dance games. During the room exploration portion where you’re trying to find hidden cards in character’s room, in some of the messier rooms it can get quite tricky to find some of these between all the colours and items scattered everywhere, especially since the cards are often hidden in plain sight in some great spots. My biggest advice for finding the more difficult ones of these is to use your ears before you use your eyes and listen. There’s a kind of glittery, mystical high pitched sound that plays when you’re near a card and once you find where it is loudest, all you have to do is stay in the one spot and look all around you and you should see it. As I said, these cards are well hidden and this feature is designed with VR in mind so make sure you’re looking everywhere where you hear the. Look under tables, inside trash cans, on the ceiling and anywhere else when you hear that high pitched sound and you shouldn’t have too many problems finding the cards. It might seem like the card is absolutely nowhere to be found, but that usually just means it’s hiding in or under something in a very sneaky way, so as long as you hear that sound, you shouldn’t have trouble if you just keep going. You can pick up Persona 3 and 5 Dancing (+Persona 4 Dancing All Night!) in the Endless Night Collection for PS4 on Amazon! Are you finding the Persona Dance games easy or difficult? Are you playing them?